I'm a sucker for snacks. The way I see it, why not eat throughout the day, when you can eat throughout the day? Snacks come in all shapes and sizes, but the best ones fit these criteria: they're packed with flavor, they're not horrible for you, and they're easy to make. Enter microwavable banana boats, which have the added bonus of being wildly fun to eat and to make. Plus, you can make them in the microwave, in their own peel, meaning this hack leaves your belly full, but your kitchen clean. Now comes the fun part where you get to customize your banana boat. 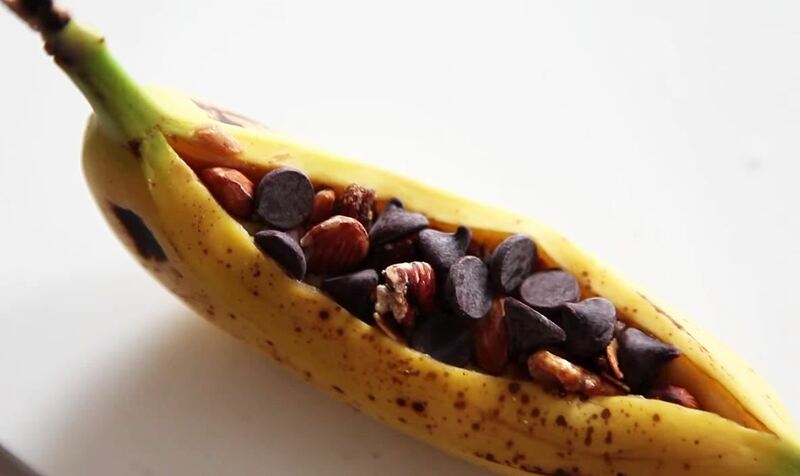 The options for what to put in your boat are endless, but any kind of chocolate, nut, or fruit will be divine. I have three favorites: peanut butter and chocolate chips, s'mores, and chocolate chips with pretzel bits. But really, you can't go wrong! The world is your oyster... er... your banana. 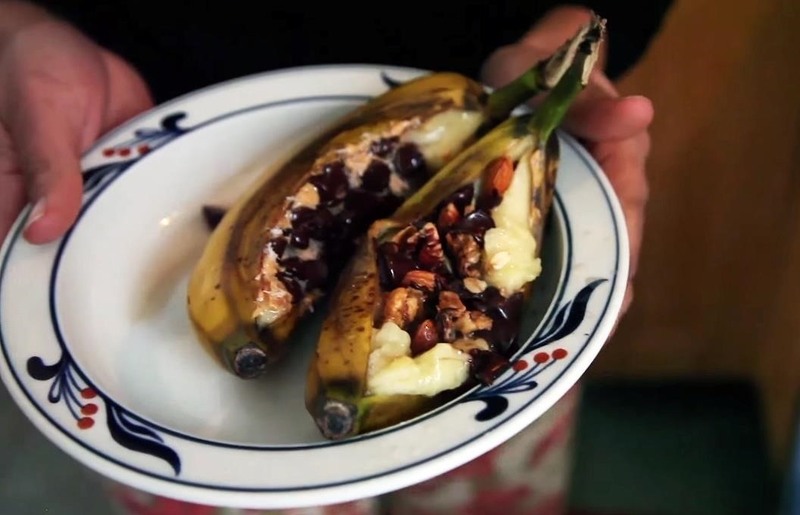 Just load up the banana with as many toppings as you want that can fit, and start salivating. Depending on the size and ripeness of your banana, and the strength of your microwave, cooking times will vary. Cook in 30-second increments, and check on the banana each time; the peel should turn brown, and the entire boat should begin to feel mushy. This usually happens after two or three increments. Once the bananas are cooked, just dig a spoon into them and eat them up. The banana will be mushy, but don't be scared: it's delicious that way. After eating, repeat, as you'll probably immediately crave another. Check out the video below from TheQKatie for complete instructions. And why not? They're an amazing fruit. 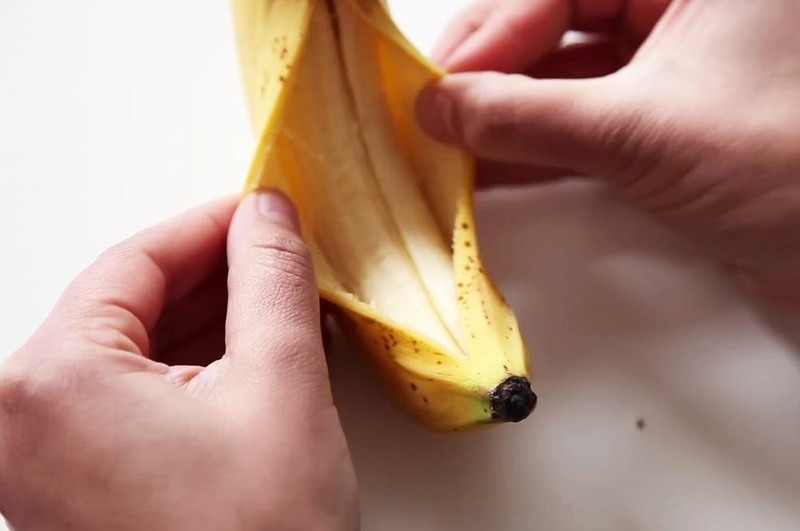 Just check out these weirdly useful ways you can use banana peels, how and why bananas make a great egg substitute, and how to store bananas so they (and other fruits) will last longer.